Greetchen: “José, astronomy is one of my favorite areas of science. That’s why I love the image that this month we shared with the public. " José: "Juan, tell us where did you photographed the Milky Way". "This kind of pictures are acquired using special equipment and what we observe is the result of processing 6 photos of 60 seconds each. Therefore, we can say that is a picture of six minutes! " José: “Juan, tell me about the activities of the Caribbean Astronomical Society"
Juan: "We do talks and observing nights with our telescopes. We meet once a month on the grounds of Cabo Rojo, as it is an ideal place to do this type of activity because it has no light pollution. " Greetchen: “What have you learned from our galaxy with the astronomy group? 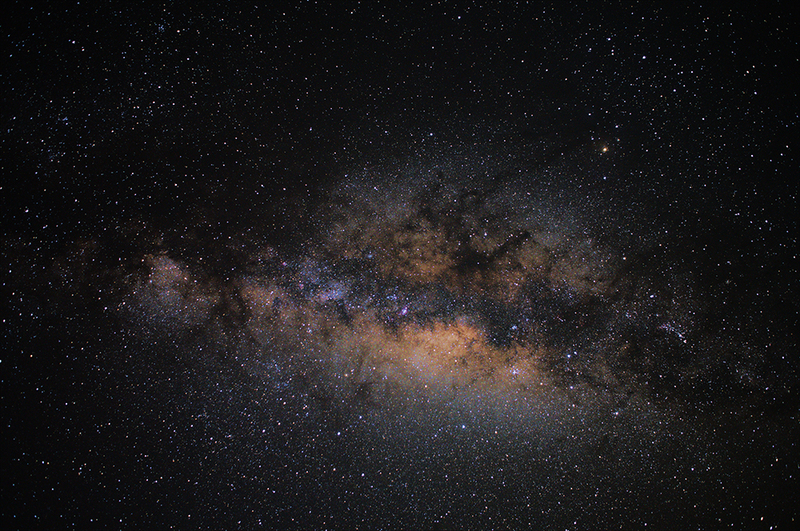 Juan: "The Milky Way is visible to the naked eye from a dark location. People use to confuse the galaxy with mist but if observed through a telescope you would realize the amount of stars that compose it. The Andromeda galaxy, the closest to ours is 2.5 light years and can also be seen with the naked eye as a cotton ball. " "Every photo I take of the space, specially the Milky Way, surprises me because they make me to think about how small we are in the Universe."